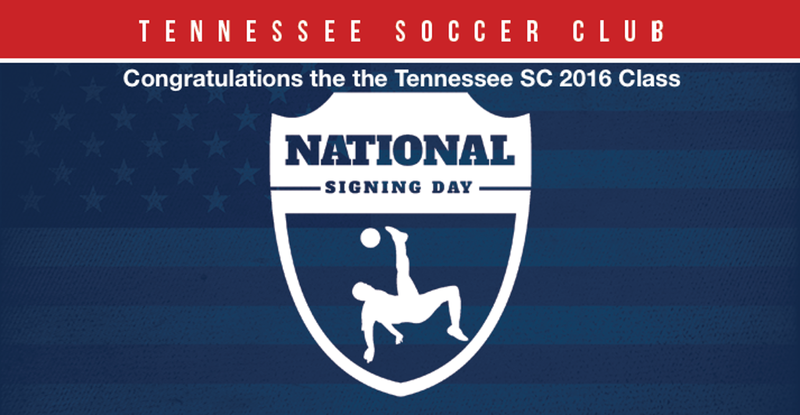 (February 3, 2016) Tennessee Soccer Club is pleased to announce the class of 2016. These 41 student-athletes will be attending colleges and university all across the United States allowing them the opportunity to continue their academic and soccer career. The 2016 class represents the largest class in Tennessee Soccer Club history and we look forward to more student-athletes joining the class as they finalize their decision. “The entire club staff is very excited for these players and their families and we look forward to watching them achieve their dreams both in the classroom and on the fields. There are not many clubs in the country that have 40-50 student-athletes sign NLI’s in the same year, especially at the level of schools our athletes are attending." – Stuart Brown, Executive Director of Tennessee Soccer Club. Emily Zipay Western Carolina Univ. Kirsten LaPalnte Eastern Kentucky Univ.